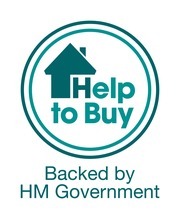 On the 1st April 2013 the “Help to Buy” scheme was launched and since then more than 144,826 houses have been purchased under the scheme, mostly to first time buyers. The scheme applies only to New Build properties in England. Under the terms of the scheme the buyer provides a 5% deposit and takes out a 20% loan from the government (40% in London) and covers the rest of the cost with a mortgage. It is limited to properties up to a value of £600,000 and property must be the only one owned by the buyer. For the first five years the buyer does not pay fees, after that they pay fees which are in line with inflation. After a period of 25 years, or when the house is sold, the loan is repaid to the Government. The amount repaid is based on based on how much the property is worth and not on the amount borrowed. According to Government statistics as at March 2017 the average purchase price was £236,041. In terms of completed sales the top six local authorities were; Wiltshire (2,021), Central Bedfordshire (1,710), Leeds (1,704), Wakefield (1,611), County Durham (1,574) and Bedford (1,489). A more recent independent analysis of Government data found that the most popular areas for Help to Buy were all in the North. Affordability was a key indicator of popularity, with the average purchase price of the top ten most popular cities being substantially under the national average. Whilst some would argue that Help to buy has fuelled New Build price increases, it has been the driver behind an increase in supply. 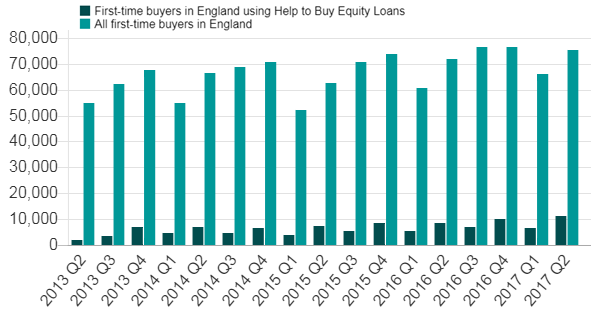 Help to buy purchases now represent a significant proportion of first-time buyer sales, with a steady increase in the number of participants over time. In the Autumn statement the government pledged to put another £10 billion into the Help to Buy scheme. This guarantees the future of the Help to Buy Scheme at least for the foreseeable future. The Help To Buy scheme has also be extended in Scotland. Tim Reeve of Advent Developments said, "As an active residential development company we welcome Government support for our industry. In particular the HtB scheme has enabled a significant number of purchasers to access the market who might not otherwise been able. 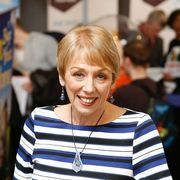 In our experience it has been particularly popular with first time buyers and on some schemes we have seen up to 30% of purchasers buying via H2B, it has therefore been hugely valuable to both our business and the house building sector." Properties from Advent Developments include developments in Carlton Lane in Rothwell, Leeds. Andrew Shaw, Commercial Director of JP Wild Leeds said that he was "Happy to say that HTB has proved to be a very successful stimulus to the housing market and is proving very popular with buyers of New Homes and the process in relatively seamless. 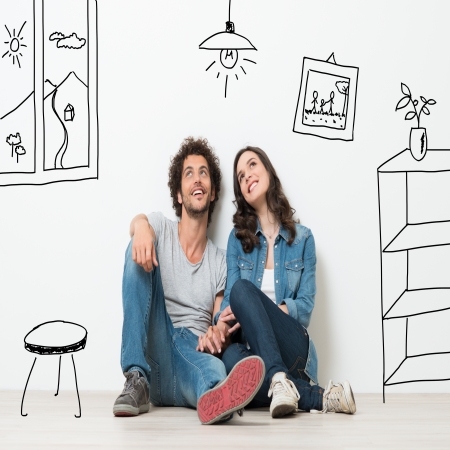 It is certainly helping buyers get onto the housing ladder and achieve their dream home." Properties from JP Wild develop include developments in Wakefield, Leeds.